The Weekend’s action saw eight ‘keepers keep clean sheets, with Lewis Greene earnign one as Hullbridge Sports beat Woodford Town on Friday evening; the goals coming via Yemi Adelani and Timo Monsheju. Then on Saturday Jayden Hocking-Rising kept Stansted out, with Jimmy Cox’s goal at the other end handing Stansted a 1-0 defeat. That means Stansted now lead the table by a mere point, with Hullbridge Sports playing their game in hand on Tuesday, before the top two then clash next weekend at Hargrave Park in what could be a potential Title decider. Down at the bottom and Southend Manor’s 2-0 win over Sawbridgeworth Town sees them make a step closer to safety. Second half goals from Michael Ogboin and Harry Rogers, alongside Joshua Harrison’s clean sheet, means that Manor now need only 2 more points to see them safe. The bottom two both lost, as firstly Barkingside lost at home to Saffron Walden Town, while Leyton Athletic lost at Stanway Rovers. Side were trailing 2-0 to the Bloods after Charlie Portway and Lewis Francis both scored withing two minutes of each other. But Dan Jones then pulled one back from the penalty spot; two minutes later he had levelled up but Portway then added his second of the afternoon in the 70th minute to win the game 3-2 in favour of Saffron Walden Town who now sit 3rd and close enough to land the title if the top two falter in the run-in. Barkingside remain at the foot of the table after this. Leyton Athletic lost to a solitary Scott Kemp goal which keeps them in the other relegation spot. Time is running out for both teams and in any case they could soon be relegated if the teams above them reach the safety threshold. Tower Hamlets are still not safe after they lost 2-0 at Takeley. Michael La Ronde opened the Takeley account in the 15th minute, Nick Barrett closed it with a penalty in the 52nd minute, with Ronnie Yates keeping his 10th clean sheet of the campaign along the way. James Bransgrove collected his 8th clean sheet as Walthamstow beat Clapton 1-0; Kieran Bishop’s 22nd minute goal securing the points that see Stow now sit 4th. A solitary goal also secured all the points for Hoddesdon Town, who beat St Margaretsbury 1-0 courtesy of a Joss Lillis goal in the 65th minute. Aron Bull collected his 7th clean sheet; meanwhile Jack Coker was collecting his 6th clean sheet as West Essex shut out Redbridge at one end, while scoring twice at the other end. Samraj Gill fired the Stags into a first half stoppgage time lead which was then doubled in the 69th minute when Michael Mignot struck. There was one Cup game played over the weekend, as Barkingside Res. entertained Ilford in the Quarter Final of the Peter Butcher Memorial Trophy. Lamarr Douglas handed the Foxes a 5th minute lead from the penalty spot, but Jamie Pooley levelled up in the 23rd minute. 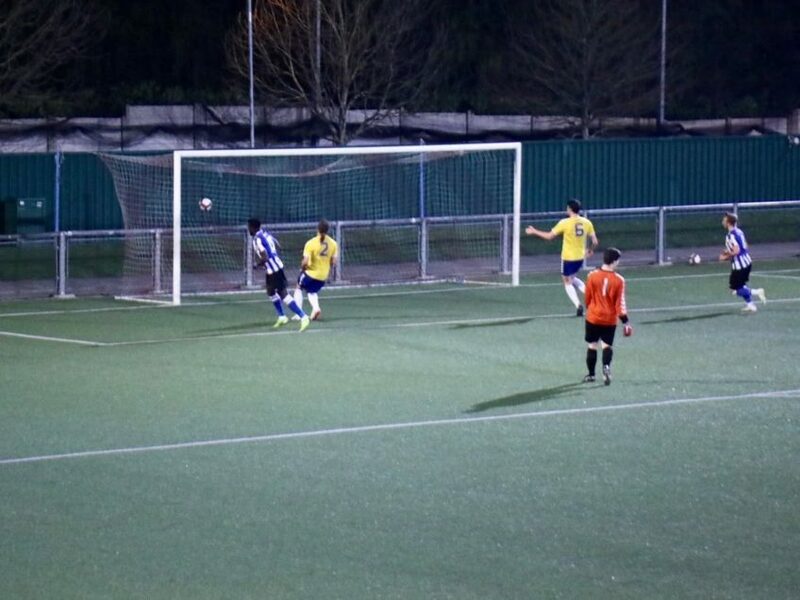 With no further goals meant that the game went to penalties which Barkingside Res. won 3-1.